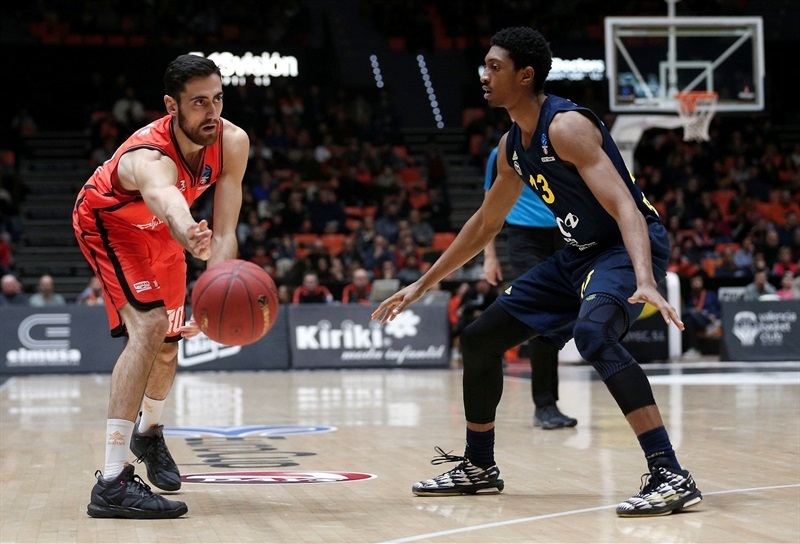 In a thrilling game that went down to the wire, Valencia Basket left no doubt about its power in Top 16 Group H by downing ALBA Berlin 85-80 at home on Wednesday. Valencia climbed to 2-0 in Group H, while ALBA dropped to 0-2. Bojan Dubljevic led the winners with 15 points. 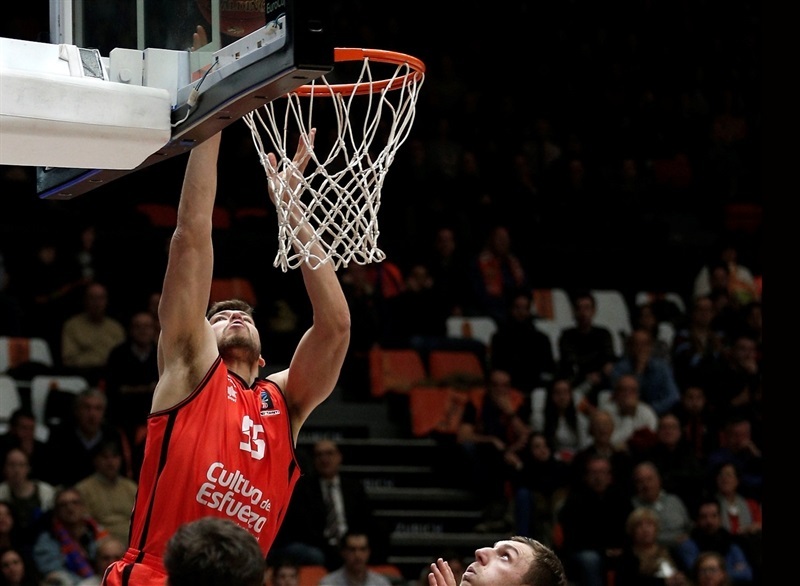 Fernando San Emeterio added 13, Rafa Martinez 12 and Guillem Vives and Joan Sastre each had 10 for Valencia. Carl English, Engin Atsur and Elmedin Kikanovic led ALBA with 12 points apiece. Ismet Akpinar had 11 for ALBA, which trailed 75-58 with eight minutes left, but worked its way back in the game and had a chance to tie it in the final minute. 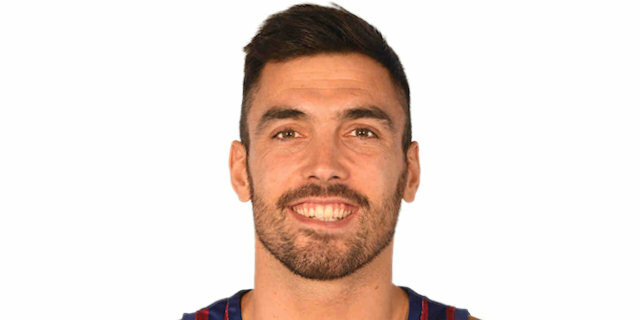 Valencia outrebounded ALBA 31-20, dished 18 assists and drew 23 fouls. 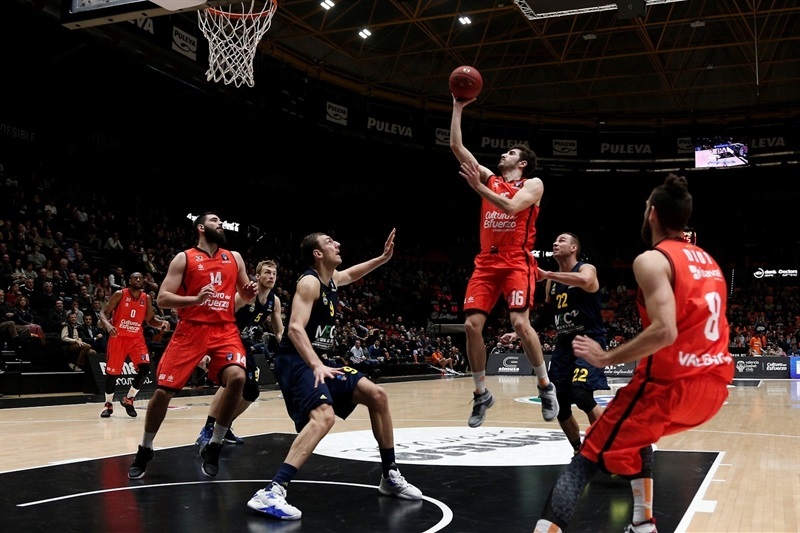 ALBA hit 11 of 20 three-point shots and caused Valencia to commit 18 turnovers, tying its season high, but it was not enough for the German powerhouse to win the game - a rematch of the 2010 7DAYS EuroCup title game. Both teams return to action next week; Valencia visits Unicaja Malaga while ALBA hosts Cedevita Zagreb. A layup by Dubljevic and a three-pointer by Vives gave Valencia an early 5-0 lead. Milosavljevic dunked and Tony Gaffney sank a triple, but Dubljevic had 4 points in a 9-0 run that boosted Valencia's margin to 14-5. 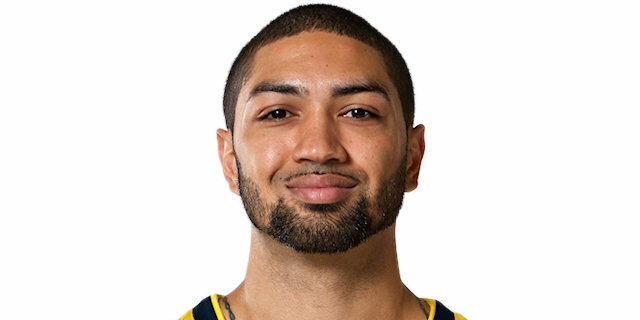 Peyton Siva and English buried consecutive threes, but Pierre Oriola and Martinez kept the hosts way ahead, 21-13. Kikanovic and Milosavljevic brought ALBA a bit closer, 24-20, after 10 minutes. A driving layup by Siva and a three-pointer by Atsur put ALBA back in charge, 26-27, early in the second quarter. Siva and Neils Giffey nailed back-to-back triples and Kikanovic added a mid-range jumper to boost ALBA's lead to 28-35. 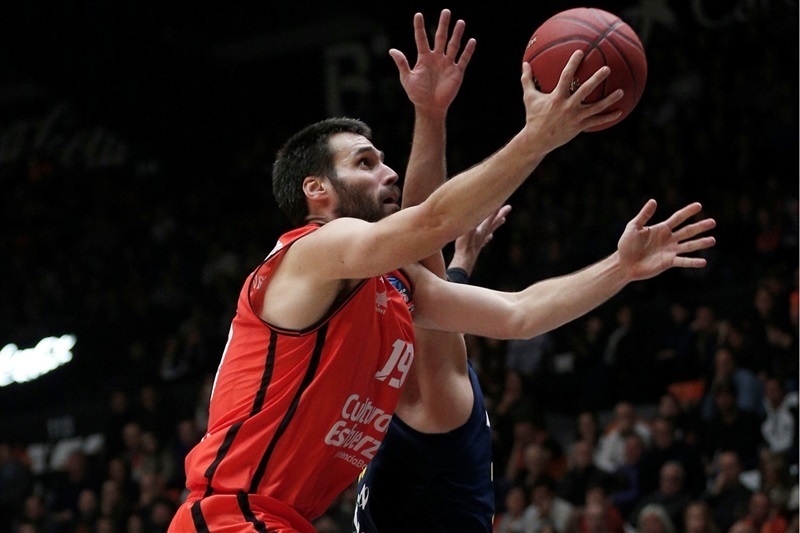 Martinez rescued Valencia with 5 points in a 7-0 run that San Emeterio capped with a layup. Kikanovic and Gaffney kept pacing the visitors, but consecutive baskets by San Emeterio and a tip-in by Dubljevic gave Valencia a 46-43 lead at halftime. Dubljevic took over after the break and a layup by San Emeterio made it a 7-point game. Vives banked in a close shot and a layup by Slava Kravtsov caused ALBA to call timeout at 56-48. 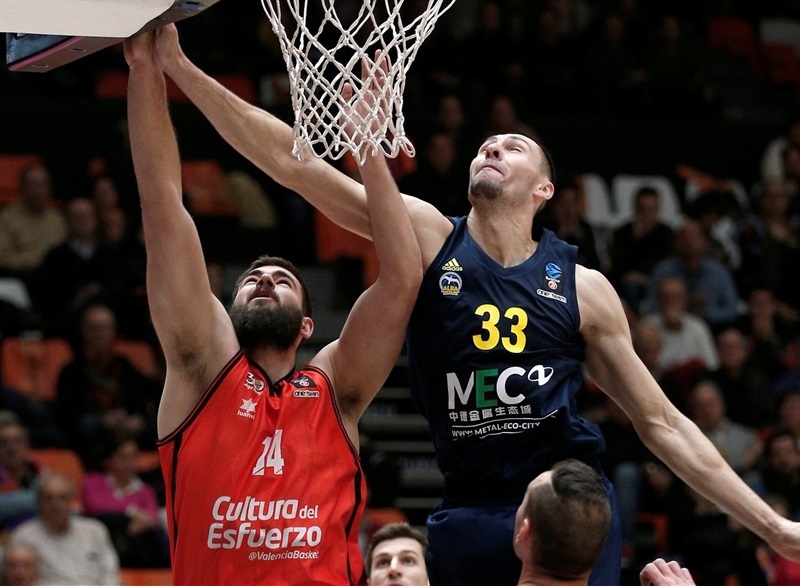 Atsur and Malcolm Miller stepped up for ALBA, but Sastre hit free throws and beat the third-quarter buzzer with a jumper that made it a double-digit game, 68-58. Sastre remained on fire with 5 points in a 7-0 run that seemed to break the game open at 75-58 with eight minutes to go. 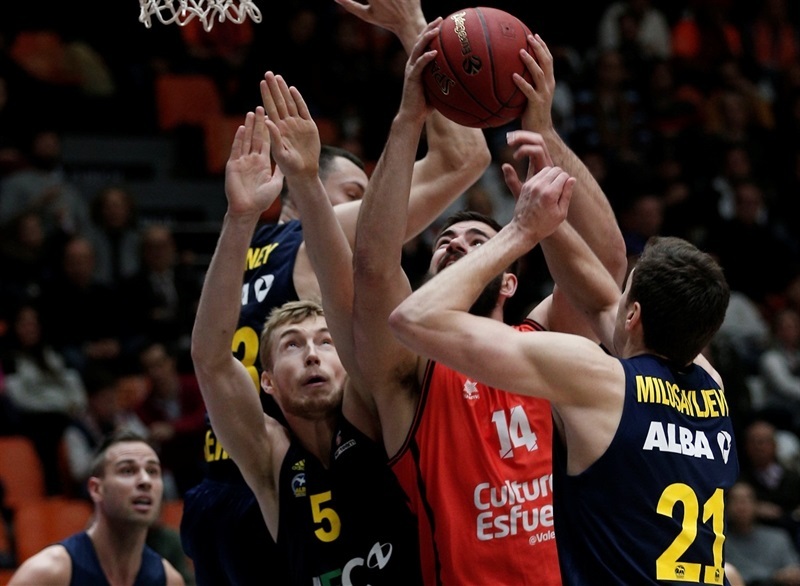 ALBA was not done, however, as Akpinar and English brought the guests within single digits, 80-73. A huge dunk by Gaffney and a six-meter jumper by Milosavljevic made it 80-77 in the next-to-last minute. Luke Sikma hit a jump hook, but Atsur did better with a three-pointer. Gaffney missed around the basket and free throws by Martinez sealed the outcome with 11.8 seconds to go. "It was a game with good rhythm, with a lot of accuracy by the two teams. ALBA played with aggressiveness, in a positive way, with a lot of energy, believing a lot in their options, and so did we. I am glad to get this win against a good team and start 2-0 in the Top16, it´s not easy." "We came to play against a recognized team, and we had to prepare a good game. We didn't enter the game the right way, but we were always back. 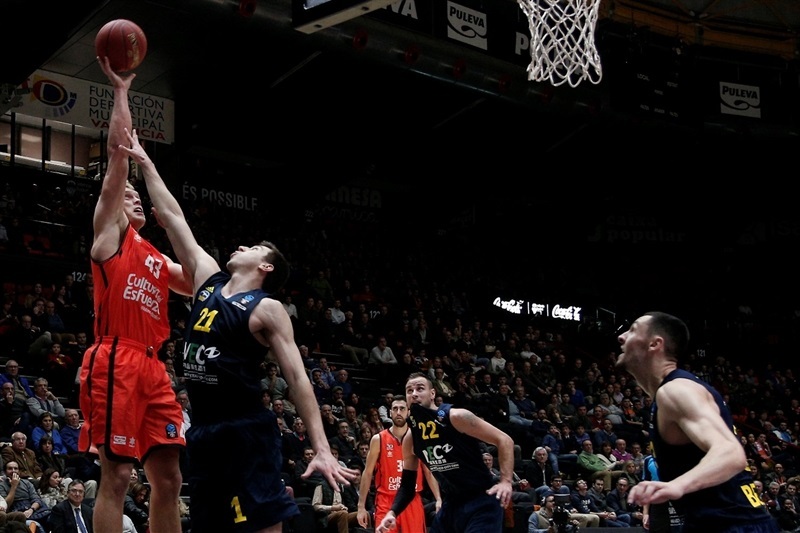 If you make mistakes against Valencia Basket, it is difficult to win... I'm proud of my players." 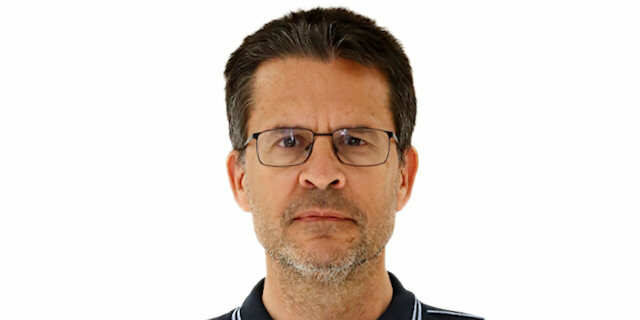 "In the third quarter we played very good and we opened a big advantage although we were not been able to break the game open because we committed some mistakes and lost some balls that they took advantage of to get into the game. In the end we played smart to ensure a very important win." "I think we played well, but in the third quarter we went down and made some mistakes, but as a team we came back and battled. Everybody played together and as a team we fought hard until the end."